As the head of a large non-profit company, I have a significant responsibility to our stakeholders, including our government and philanthropic funders, our community partners, and our individual and corporate donors. They have invested in us and we need to demonstrate that we use those dollars wisely, effectively and transparently. As such, in 2015, Fedcap made the decision to publicly release our financial and programmatic results twice annually—not just because it is the right thing to do, but because it is smart business strategy. This level of transparency signals to our stakeholders that we are doing what we said we would do—spending money in smart and innovative ways to advance our mission. In a recent article in the NonProfit Times, the author suggests that the more non-profit reporting practices mirror for-profit companies, the greater opportunities for partnerships with corporations. Examples might include a bank with an affordable housing nonprofit, a technology company and a non-profit focused on science, technology, engineering, and mathematics (STEM) education, or a food retailer operating a soup kitchen. While emphasis on our mission is key to engaging the hearts and minds of our partners, demonstrating our financial and programmatic results is critical to maintaining those relationships. Increasingly, savvy donors and investors of all types demand results. On May 17, we will be releasing our first half-year financial and programmatic results for 2018. This process takes place via webinar and will attract participants from business, philanthropy, academia, government, and non-profit sectors across the country. Following our presentation, we engage participants in a Q&A session, intended to further expand their knowledge of our company. Please join us as we openly discuss the current realities in the nonprofit business environment. Many leaders, including myself, first step into their leadership roles with the mistaken belief that they must have all of the answers and know more than those on the team they are leading. What a heavy and unnecessary burden to carry. Over time, effective leaders come to understand that the leadership is about finding ways to enable those around you to strengthen their own voice and the clarity of their convictions, assisting them in recognizing and eliciting their power as authors of their own professional journeys. Great leaders know how to push people to do bigger and better things with a style and approach that is all their own—this is their leadership brand. The longer I am in this role, the more truth this concept has for me. According to the Harvard Business Review, a leadership brand conveys your identity and distinctiveness as a leader. It communicates the value you offer. Developing a strong personal leadership brand allows all that’s powerful and effective about your leadership to generate maximum value. When staff come to me for guidance, I have worked hard to consistently convey that I want their best insights, a researched opinion, evidence that they have dug deep into the issue and a willingness to stretch—really stretch to achieve the organization’s goals. This ultimately brings out their best work. I believe that a strong leadership brand can spread a culture of leadership throughout the company. Of course your leadership brand isn’t static; as with most things, it will evolve as you face different challenges, different funding and business environments along your career path. But even in its evolution, your core leadership values will remain. I believe that we owe our staff clarity of leadership brand. In 2012, Fedcap combined with Wildcat Service Corp., renowned for pioneering work with New York City’s justice involved. Wildcat is, in many ways, the embodiment of the spirit of Fedcap: The Power of Possible. As a driving force for New York’s services to those who face disenfranchisement and stigma, Wildcat has touched and improved the lives of thousands who would have become statistics without its quality, innovative programming. Wildcat was led by Amalia Betzanos, a true pioneer in justice reform and a legendary public servant. We pause each May to celebrate the legacy of its founder and the ongoing work of the organization. And each year, we honor the work of other pioneers in the expanding field of justice reform. This May, I am pleased to report, we will be honoring Justine (Tina) Luongo, Attorney-in-Charge of the Criminal Defense Practice of the Legal Aid Society. Ms. Luongo has more than made her mark in the area of justice reform. 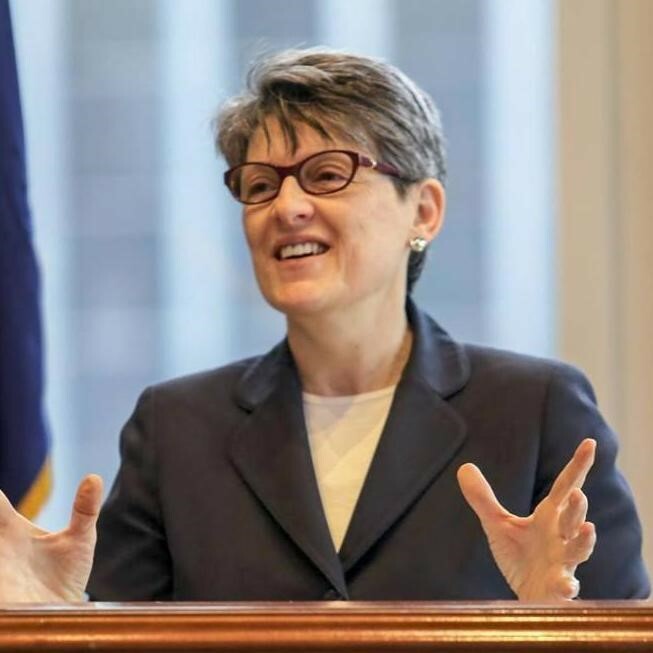 Under her leadership, the Legal Aid Society opened a first-ever Digital Forensic Unit focused on criminal defense, launched the Cop Accountability Project, and increased the capacity of every trial office to represent clients. No small accomplishments. One of Ms. Luongo’s most innovative projects is the Decarceration Project, a city-wide campaign to reduce—and eventually eliminate—the pre-trial incarceration of poor people in NYC. This year alone, close to 47,000 people will be incarcerated before their cases are heard, simply because they cannot afford bail. Fifty percent of people with bail set cannot afford it. For those who can afford it, just 11% can post bail at $1000, and 17% can post bail at $500. And yet, 84% return voluntarily in time for their court dates, and 94% return voluntarily within 30 days of their court date. The cost to the system and to human life is enormous. Ms. Luongo offers a great example of what it takes to find a precise intervention that can alter—for the good—a sea change in reform. For example, judges can institute a “promise-to-pay” alternative, which releases a defendant to his or her family with a promise to pay if they do not appear for their court date. The statistics bear out that most will return for their dates. The risk of loss is minimal, especially compared with the cost of incarceration for often months at a time. Decarceration is a significant and important effort in the fight against injustice. Thanks to Tina, the legacy of justice reform has jumped ahead. We welcome your attendance to our Spring Cocktail Party on May 16th where you can learn more about Ms. Luongo’s ground breaking work, the history and ongoing work of Wildcat, and the legacy of the remarkable Amalia Betanzos. We recently had the privilege of listening to Doug Rauch, the former CEO of Trader Joe’s and the current president of The Daily Table (www.dailytable.org) address the staff cohort and senior-leader faculty of our Leadership Academy. Doug has had a fascinating career—and has no indication of slowing down. He never stops… in fact, he wakes up every morning trying to solve problems. And he gets it right much of the time. Doug offered many great ideas to our Academy participants. Among them was the idea that leaders get the organizations they deserve. And depending on the leader, this adage can bode well or ill.
For an organization to thrive—to be the best organization a leader can deserve—means that leaders must ensure that the basic measures of success, like structure, metrics, data, and stewardship of the community’s resources are firmly in place. Those are a given. But to truly thrive, it is the culture that makes the difference. Leaders have to take the time to and work hard to create a culture that allows people to thrive. And we must be deliberate about maintaining this culture. For me, creating this culture is born out of setting a tone for honest, direct communication. I do not want people around me echoing my thoughts or simply agreeing with me. I want people around me who question me, challenge me, and who are willing to disprove my thinking. I want to hear perspectives from people who see the world differently from how I see it, whose experiences do not mirror my own. I want intelligent voices to tell me what I am not considering. I want to learn something new every single day. And I want to—and will—change my mind if that is what it takes to improve and grow. According to studies in both Europe and in the United States, 85% of employees from a variety of industries and sectors are afraid to raise questions or concerns for fear of retaliation or firing. I can’t imagine what it would be like to lead an organization where this was true. These are organizations where people feel unwilling and unsafe to take risks, to try out new ideas, to fail fast and fail forward, and who cover up their mistakes instead of heralding them as learning experiences. I feel very lucky that I am surrounded by people whose strengths are different from mine, and whose intellect and voice expand the conversation. Instead, we wrangle through the problems we are solving—together. We disagree heartily. Sometimes we get mad. But in the end, we come up with a better solution, a more informed resolution, and a better direction. And in the end, we know we are better people—and a better organization—because we have created a culture where care, risk, and trust are our pillars. And we have the organization we deserve. Organizations that want to stay vital must search out surprise, looking for what is startling, uncomfortable, maybe even shocking. Equilibrium is another word for balance—where forces of equal weight come together and form stability, symmetry, and evenness. Margaret Wheatley, in her book Leadership and the New Science, reminds us that, as children, we are constantly seeking out disequilibrium—to be knocked off balance. We aspire to swing as high and far away from the earth as we can; we love the bounce on the see-saw; we can’t get enough of hanging upside down on the jungle gym. So you can imagine, if it is a choice between equilibrium and disequilibrium… I choose disequilibrium. In my mind, THIS is the “place” where innovation is born. I believe that by creating and maintaining a culture that prizes the “startling, uncomfortable, and maybe even shocking,” we thrive. What does disequilibrium look like in a business such as ours? It looks like challenging the status quo—flipping orthodoxies that we assume are firmly in place. It means not being afraid to question the logic of how systems that serve our most vulnerable are structured. Here’s an example: until recently, the assumption—the orthodoxy—was that individuals with intellectual/developmental disabilities could not effectively work in the community—and that it was better for them to work in sheltered workshops. This system of workshops represented equilibrium. And then came the disturbing question: What if those with intellectual/developmental disabilities were to integrate more broadly into the community by working in jobs within community businesses? This question caused disruption of an entire system. And yet, we now know that employment of people with intellectual/developmental disabilities works—and it is expanding and improving their lives as well as those in the community working alongside them. I suggest that if we seek equilibrium as an organization, we will atrophy. It is imperative that we continue to seek disequilibrium— that we seek the discomfort that comes from asking questions, challenging assumptions and not accepting status quo. I am a big fan of history. And women’s history holds a particularly compelling place for me. Prior to 1970, women’s stories did not enter the history books nor were their accomplishments highlighted in practically any venue. We still feel vestiges of the dearth of women’s stories today, but it is getting better. Hearing and knowing the stories of people and events of our collective past helps—always—to inform our understanding of the origins of the issues that we face today—issues that we work hard every day to solve and to improve. March is National Women’s History Month—so declared by Congress as late as 1987. It was created to underscore the contributions of women, past and present, in every facet of our lives—from medicine to arts to government to education, science, and community. Here at Fedcap, we celebrate Women’s History Month as a chance to create new opportunities for women to make history. When I think of women’s history, I think of the much-too-long lens of women who have been faced with barriers to economic well-being. As of March, 2018, the global unemployment rate for women is 6%–0.8% higher than their male counterparts. For many women, unemployment is a chronic issue—one that we are working hard to solve. There are many aspects that contribute to chronic unemployment for women. For example, household demands, such as child care, transportation, procurement of meals, and education oversight fall unevenly to women. These unequal demands can intervene in consistent job search or attendance if there is a crisis of any sort. The results are manifold: women are apt to lose their jobs due to multiple demands; they are forced to take more “informal” jobs with lower wages; or they are not able to sustain training or education that might help their transition into a living-wage job. Solving this problem means sharpening awareness of the issue as well as finding the drive and the wherewithal to redistribute family responsibilities. In addition, it is key that we continue to foster female enrollment in a variety of opportunities for learning—vocational and workforce training, entrepreneurial programming, and higher education. At Fedcap, and among our family of agencies, lifting up the opportunities for training and education is among our key strategies for working on employment issues for women. For example, our Career Design School has a high enrollment of women learning and advancing in a variety of fields, including culinary arts, document imaging, security, custodial, and office skills. While we help women with job readiness as well as securing employment, we emphasize the skills and mechanisms needed to engage beyond short-term employment, a long-term career ladder. We also support women veterans and we help older women find meaningful jobs through ReServe. For us, Women’s History Month means not just recognizing the women and industries that have gone before, but it is a catalyst for recognizing the commitment and the dedication of workforce initiatives to help women create new histories for themselves and their families for generations to come. What is one thing you might do that could raise awareness or intervene in improving the statistics for economic well-being for women?